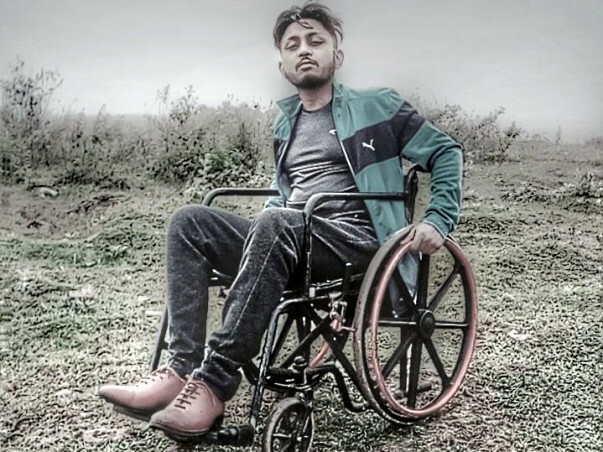 Help Pallav Banik, A Wheelchair user lead An Active lifestyle. 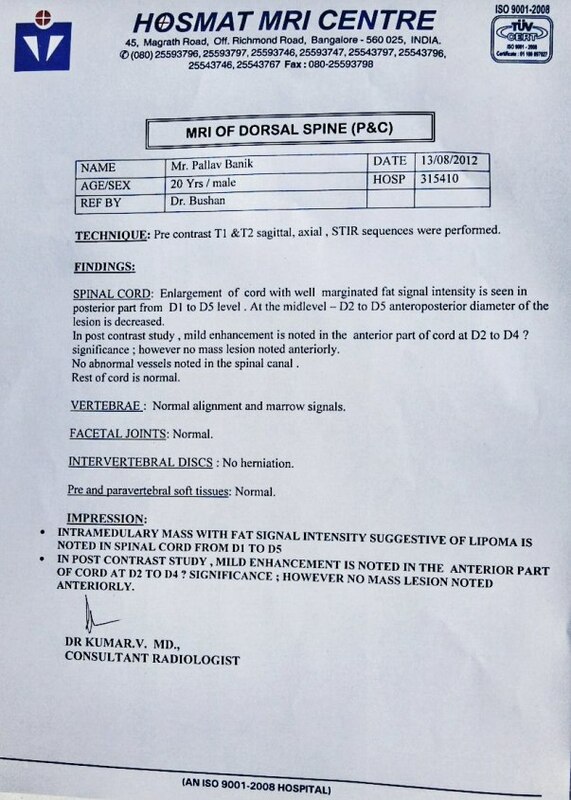 Medical diagnosis: An intradural intramedullary lipoma(tumor) in D1-D5 level of Spinal Cord. 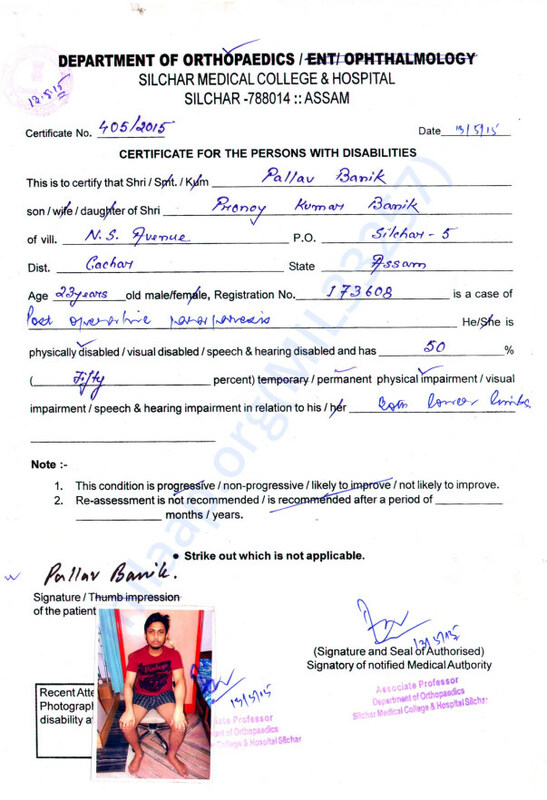 I am a paraplegic, 25 years old, wheelchair user from Silchar, Assam. 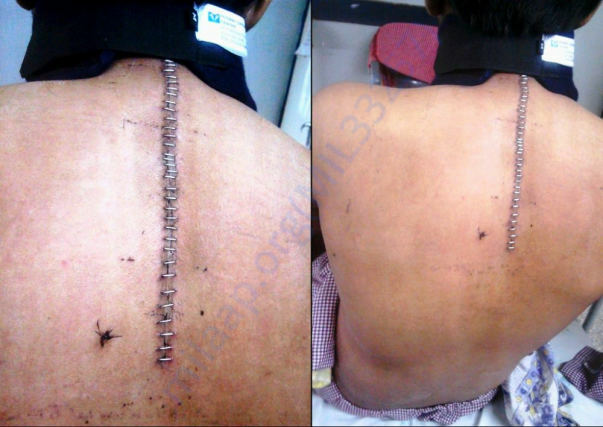 I have a spinal cord lipoma D1- D5 levet of my spinal cord which I got operated in 2012 in Hosmat Hospital, Bangalore but the surgery was complicated and the tumor is still left as there are chances of futher nerves damage. 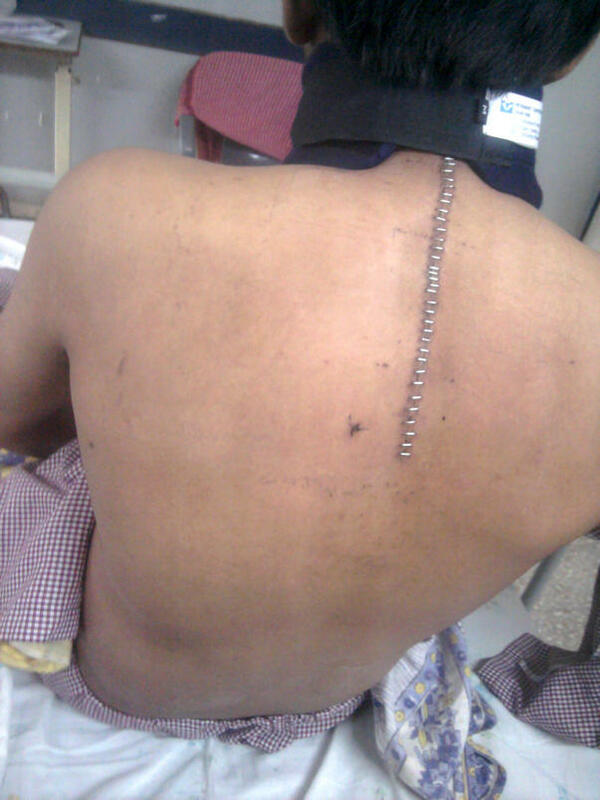 At times, I feel I was misjudged by the surgeon as he didn't discuss about my post operative risks in details. He guaranteed that within three months I will be totally alright and I can walk normally. Even he didn't say that that the tumor is still left. They need money that's all and they try experimenting with out body and life. My father has spent a huge amout of money for my treatment, medications and rehabilitation all these years. 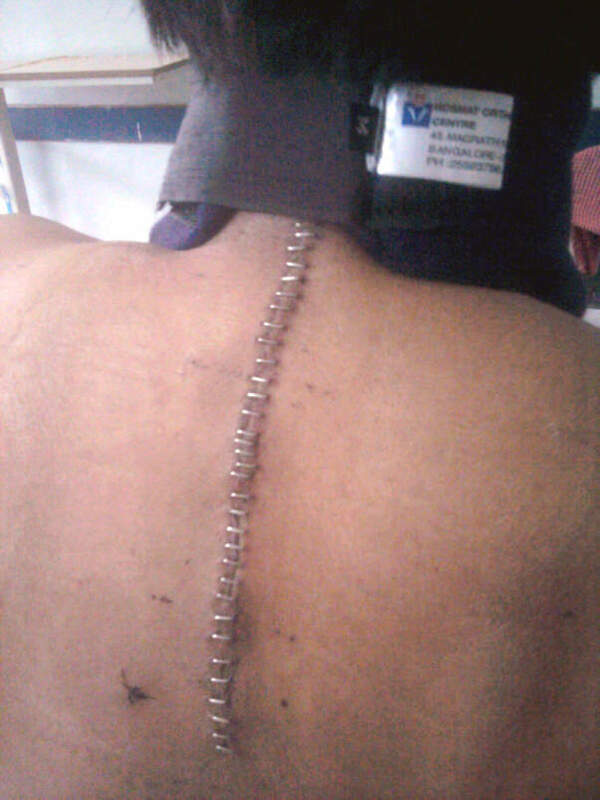 We visited almost all the hospitals and surgeons from South India for my better treatment with my physical condition but was left dissapointed. 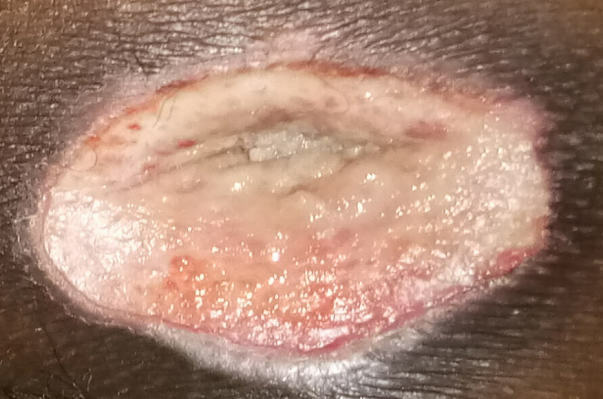 Doctors said I cannot walk again and need to use wheelchair for my mobility and some prescribed for one more surgery but they never assure that it will make mu condition better. I was a student of Btech. in civil from EWIT college, Bangalore. 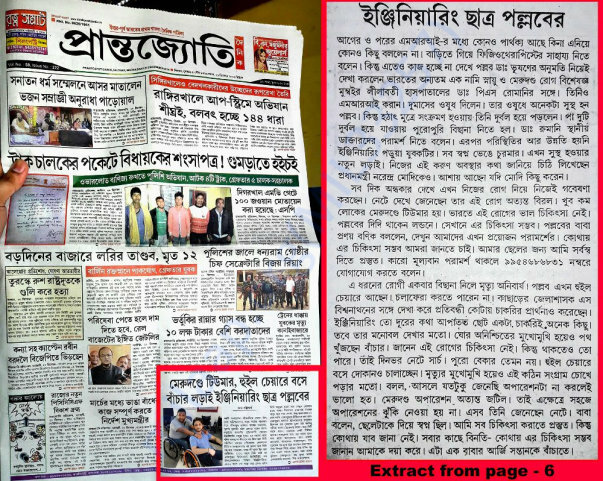 I was in 3rd semester when this happened and I had to quit my studies and had to come back to my hometown Silchar as I am the only son of my parents. My life has almost made an U-Turn since then. I have been using a non-customized wheelchair for the last 4 years. 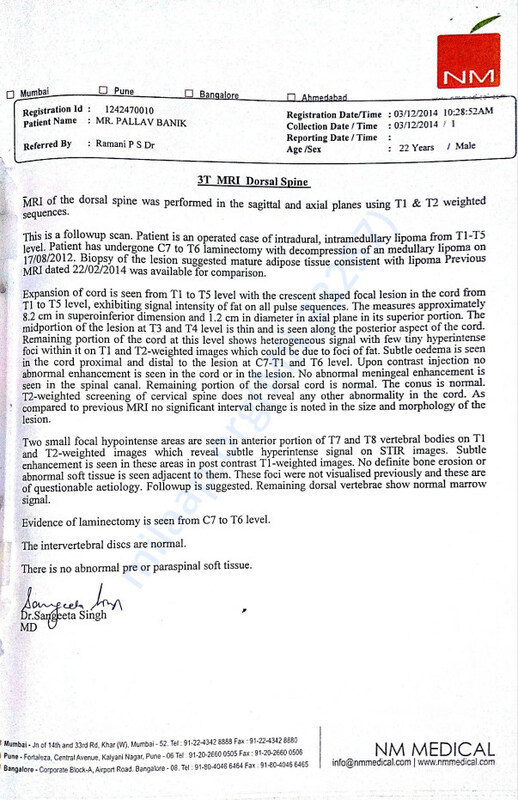 I have faced numerous issues including propulsion caused due to type of wheels and their alignment, lack of custom fitting options causing back issues, over all weight of the device leading to transportability issues and importantly pressure sores to develop. I am facing a lot challenges in daily life. I am suffering with pressure sore already and in bed rest since a month now. I need to buy an active wheelchair that comes for 1.5 lacs that will help me out with my easy mobility and good posture in sitting. Moreover, the air cushion won't let the pressure sores to grow further. 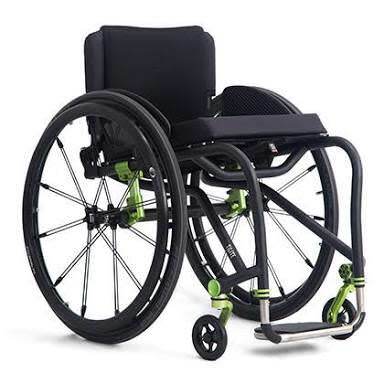 Interested in procuring a light weight wheelchair that could be customized to our needs which would result in better postural management, improved sitting comfort and ease in propulsion and transportability. Experience in researching mobility solutions in India. 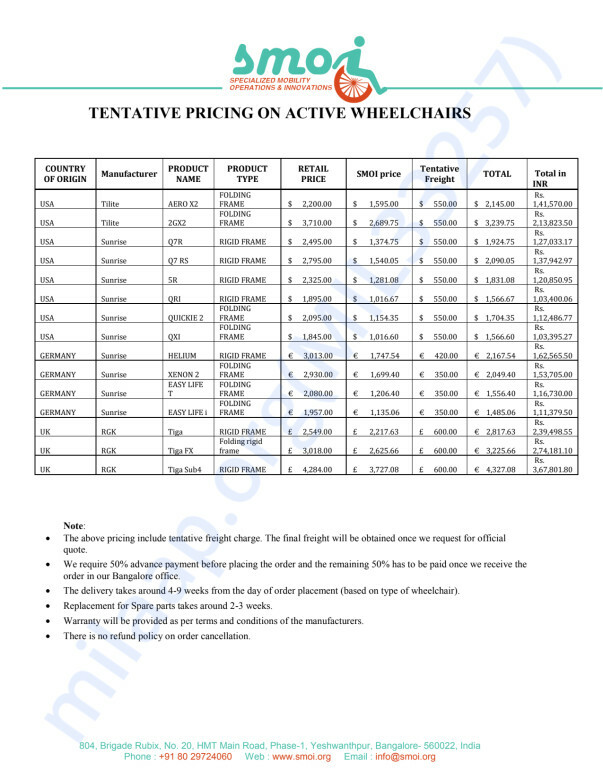 I am planning to procure a light weight active Wheelchair but due to the lack of options and expertise in India, I mailed about my request to almost all the manufacturing companies in UK & US. However, I have heard about SMOI, Bangalore, a manufacturer referral. SMOI can provide world class service at our door steps. Our experience from assessment through product selection and fitting can be done in a very personalized and rewarding way. For which I need to visit their showroom in Bangalore for the measurements and assessment. As per my reviews with other wheelchair users, I found SMOI has been very approachable and professional throughout the journey and beyond for them. Using an ultralight wheelchair like Tilite ZRA, it will be a remarkable experience for me in future. The ease with which I can propel my device and the customized features down to the color options can be met with my every expectation. My postural management can be seen with drastic improvement especially with the use of cushion which I had never used before. I love the trendy look of the wheelchair; I won't feel like I am sitting on a wheelchair. I had telephonic conversations with them they have given me the price list and we found the chair will cost around 1.5 lacs in INR. With my present financial condition I cannot afford to buy an active wheelchair with that budget. 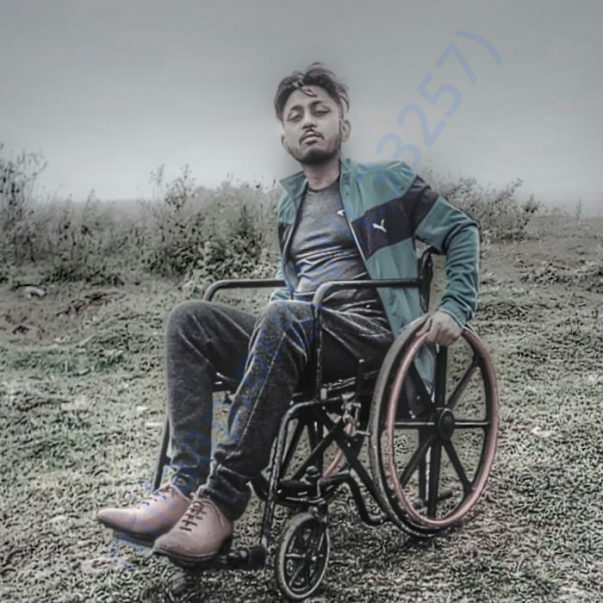 A financial aid from your side would be highly appreciated for buying an active wheelchair which will allow easy transfers, mobility and most importantly taking care of sores to grow further. I hope your contribution can help me to live a better and active life in future. 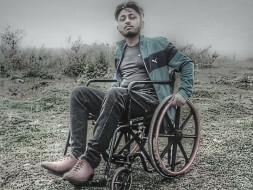 Manual wheelchair that I am using since last 3 years.